Pearl S. Buck, 1932, 614 Wyckoff Rd. @ Kline Rd. 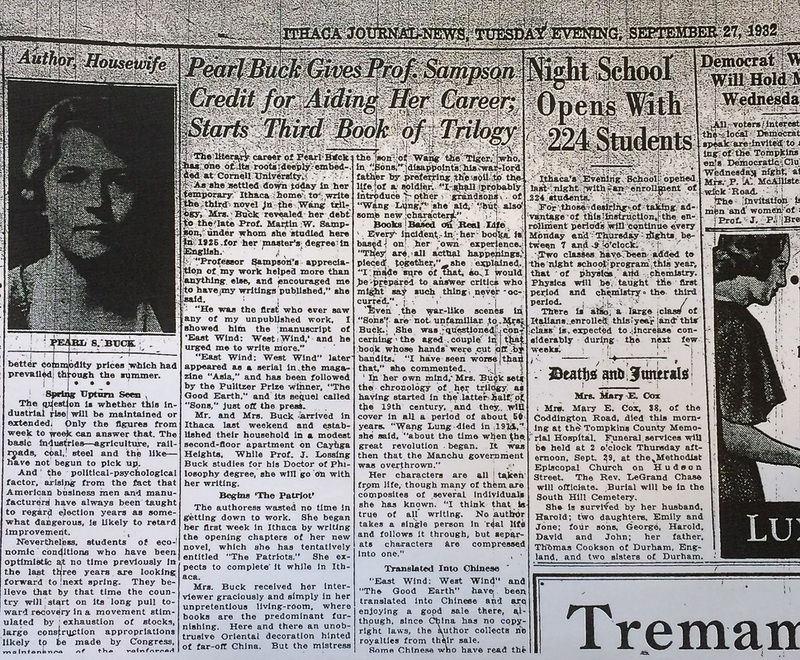 In September 1932, the Ithaca Journal-News published a feature about writer Pearl S. Buck (1892-1973), who was living in the second-floor apartment at 614 Wyckoff Road in Cayuga Heights. 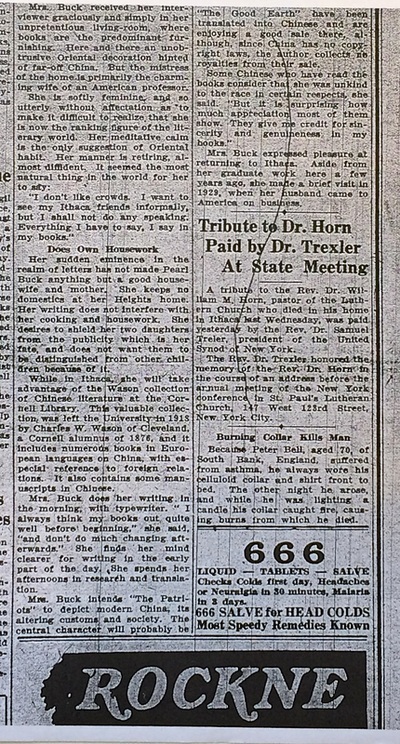 She discussed her ties to Cornell, where she earned a master's degree in 1925. Buck received the Pulitzer Prize for The Good Earth in 1932 and began work on A House Divided, the third novel in The House of Earth trilogy, while living in Ithaca. She later won the Nobel Prize for literature, in 1938, the first American woman to gain the distinction. 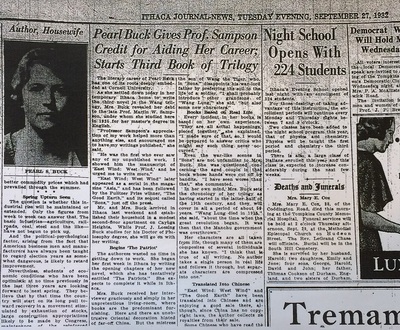 Click below to read the full article, "Pearl Buck Gives Prof. Sampson Credit for Aiding Her Career; Starts Third Book of Trilogy," Ithaca Journal-News, September 27, 1932.